It is very important to use a dedicated Beard Wash and Big Boy Beard Wash is exactly that. We spend a lot of time and money making our beards look as good as they can be, oils and balms are applied to keep the beard looking healthy and also keeping the skin under the beard in top condition to help prevent, spots, itching and dry skin and so using a general shampoo that strips those oils out is counter productive! 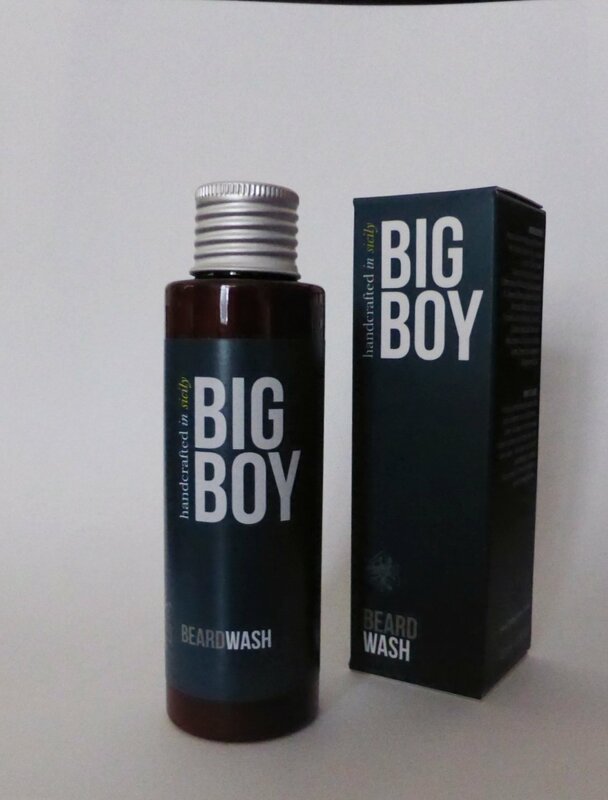 Big Boy Beard Wash has a milky colouring and consistency, a little goes a long way as I found out when I first used it. I always judge a beard wash, shampoo or soap by its ability to lather up in the hard Essex water and Big Boy beard Wash produced a very nice lather, it also rinses out easily which is important. The result is a soft clean beard with an amazing sweet, warm and rich smell of Sandalwood. I used the wash after using a beard oil and again after using a beard balm and on both occasions my beard was left clean and noticeably softer. Hand crafted in Sicily, Big Boy beard Wash is created in small batches and is free of Parabens. The Beard wash is bottled in a 100ml / 3.38 oz and costing £18.95 and is distributed from the UK via the For Big Boys website along with Beard Balm, Moustache Wax and dare I say it Shaving Gel and After Shave Balm, although I caution use of such products that are responsible for the deaths of beards every day! natural ingredients like Sicilian Olive and Almond oil, Bees-Wax and Shea Oil to create superior skin and hair care products that work in harmony with the skin’s natural elements.